"Alf" Alfred dreamed of becoming an astronaut. He studied hard at the Air Force Academy and made the Dean's List four years before his graduation in 1964. He had a bright future with the Air Force. After leaving the Academy, Alf trained on the F4 Phantom, which he flew in Vietnam the following year, where he was assigned to the 480th Tactical Fighter Squadron at Da Nang. On December 11, 1966, he was flying backseater to Capt. Jerry Woodcock in an F4C on an armed reconnaissance mission near the DMZ when the aircraft was hit by hostile fire. Whether Alf survived that day in December is not known. What seems certain, however, is that there are men who did survive, and still survive. What must they be thinking of their country? It's time we brought them home. 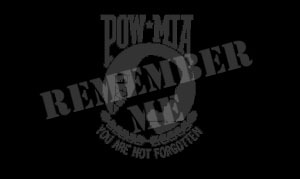 � "All Biographical and loss information on POW's provided by Operation Just Cause has been supplied by Chuck and Mary Schantag of POWNET. Please check with http://www.asde.com/~pownet/ regularly for updates."